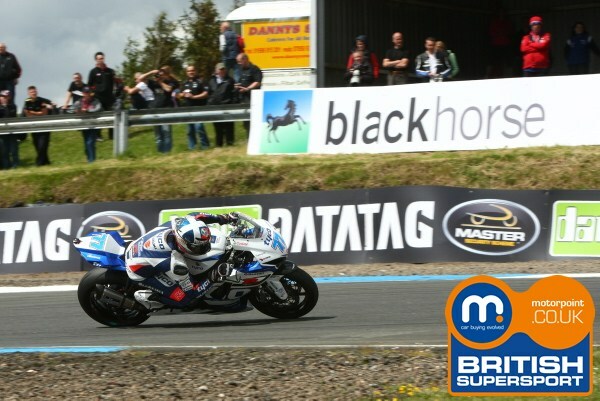 Shane 'Shakey' Byrne proved he was King of the Hill today as he claimed a double win in the fourth round of the MCE Insurance British Superbike Championship at Knockhill, despite a last dash from Tyco Suzuki's Josh Brookes in the closing laps. Byrne had a flying start from the second row to lead the pack into turn one on the opening lap as Alex Lowes and Josh Brookes tucked in behind with Ryuichi Kiyonari also in hot pursuit. Tyco Suzuki's Brookes was putting the pressure on the Samsung Honda ahead of him and finally made a move on the fifth lap as he out-braked his rival. Byrne edged ahead at the front of the field from Brookes, but on the final laps the gap decreased rapidly as the Australian pushed to close the advantage. Brookes clipped the kerb at the Chicane on the final lap, unseating him from the Tyco Suzuki and it gave Byrne the gap he needed to not be under threat into the Hairpin for the final time. The Samsung Hondas were in formation with Lowes leading Ryuichi Kiyonari until the start of the eighteenth lap when the triple champion made a move on the brakes into turn one before edging away from his team-mate. Kiyonari celebrated a double podium finish for the first time since 2010 to move closer to the top six in the standings. Quattro Plant Kawasaki's Chris Walker was able to hold off James Westmoreland in the early stages as they battled with Keith Farmer, but a mistake cost the Rapid Solicitors Kawasaki rider as he dropped down the order. Walker held on to fifth to have his best weekend of the season so far ahead of Westmoreland and PJ Jacobsen. Jon Kirkham, Peter Hickman and Howie Mainwaring completed the top ten. 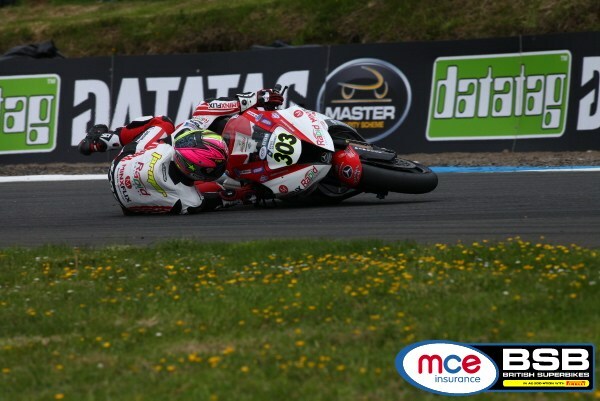 The Milwaukee Yamaha and Bathams Honda teams had a disastrous race two with Tommy Bridewell unable to make the start with a technical problem and then James Ellison and Michael Rutter both crashed out unhurt on the opening lap. Josh Waters was also forced to retire ending a tough weekend for the double Australian Superbike champion. 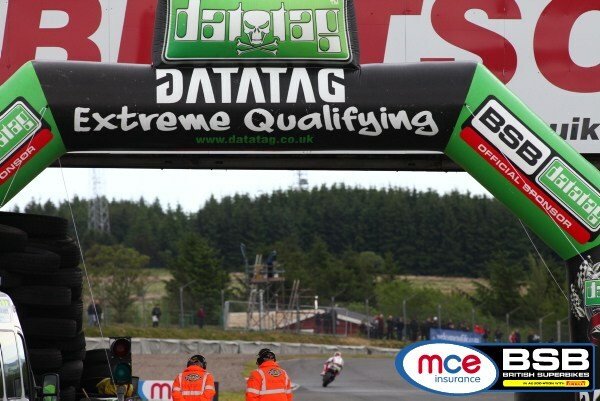 Shane 'Shakey' Byrne set an incredible pace inside the Knockhill lap record in this afternoon's Datatag Extreme Qualifying session to claim pole position after a three-way fight with title rivals Josh Brookes and Alex Lowes in Q3. 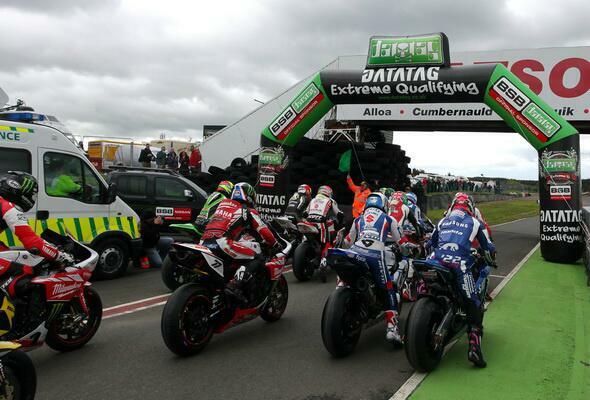 In Q1 Brookes set the precedent as the Tyco Suzuki rider topped the times from Lowes and Byrne as the leading trio shifted between the leading positions. Meawhile the Milwaukee Yamaha team's woes continued as Josh Waters was eliminated after Q1 and will start 19th on the grid, whilst a last lap push from James Ellison saw him move into the safe zone in the dying seconds of the first session. Q2 was as dramatic as the session before; Ellison was pushing hard to try and move up the order but he was forced to settle for 13th. The Milwaukee Yamaha rider had put in a last lap push but it wasn't enough. The one lap flying laps at the end of the session were frantic following a short red flag interval caused by Peter Hickman crashing unhurt at Scotsman with just a minute left of the clock. Keith Farmer was the only rider to improve into Q3 on his last lap dash as the Rapid Solicitors Kawasaki rider pushed Tommy Bridewell outside of the top ten. 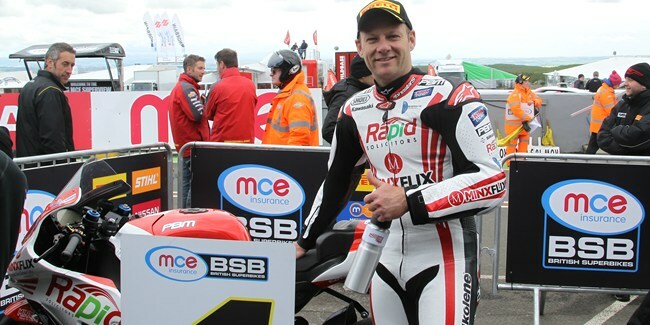 Byrne had his targets set on claiming his second pole position of the season which he did in style with a lap under his record from 2006 with Brookes just 0.010 seconds adrift. Jon Kirkham heads the second row for Buildbase BMW with Ryuichi Kiyonari starting from fifth; his best qualifying result of the season so far. PJ Jacobsen completes row two from James Westmoreland and the improving Farmer. 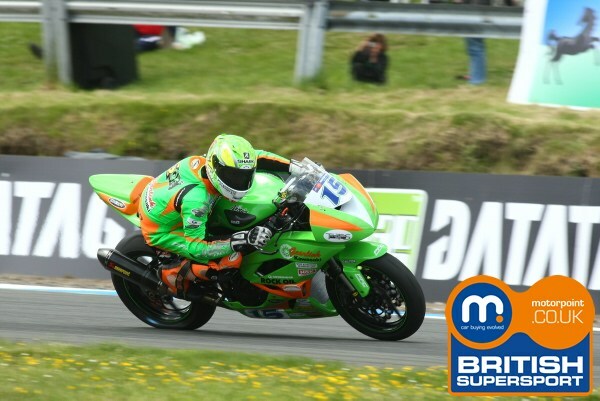 Chris Walker was ninth for Quattro Plant Kawasaki whilst Lloyds British GBmoto Honda worked hard to get Peter Hickman back on track to set a time for tenth place.